Add table rows, flexible conditional formatting, and more, in this week's Excel news. Visit my Excel website for more tips, tutorials and videos, and check the index for past issues of this newsletter. 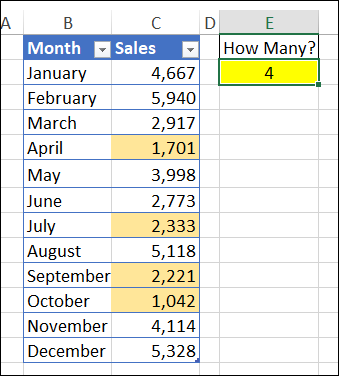 If your data is in a formatted Excel table, do you usually show a Total row, like I did in last week's Subtotals tip? If so, you don't need to hide that Total row, when you want to add new data. The Total row moves down automatically, as you can see in the animated screen shot below. See more Excel Table tips on my Contextures site. Excel has built-in Conditional Formatting rules that let you highlight the top or bottom items in a list. However, you have to type a specific number for those rules (Top 3, Bottom 5), when you apply them. Later, if you want to change that number, it takes a few steps. To create a flexible rule, use the LARGE or SMALL function, and refer to a number on the worksheet, where it's easy to change. (There's a step-by-step video on my Contextures blog). Later, type a different number in cell E2, and that many cells are highlighted. Or, type a zero, to temporarily remove the highlighting. And for more CF examples, go to the Conditional Formatting Examples page on my Contextures site. Thanks for sending your Q&A stories in reply to last week's photo - it was great to hear your memories! Someone mentioned Q&A manuals - do you remember the thick books that came with most software? (I've still got Excel 3.0 manuals.) Now our software is "in the cloud" and Google is our help! 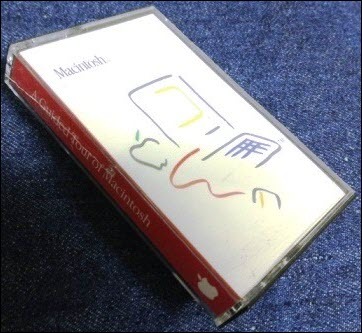 One of the strangest help features that I've ever seen was this cassette tape, "A Guided Tour of Macintosh", that came with our original Mac, in 1984. Ah, the good old days!